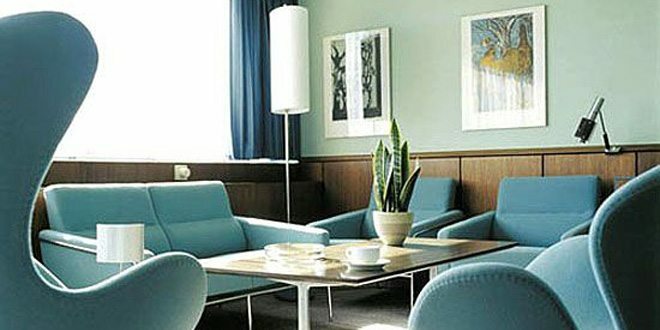 Their works explored three-dimensional molding of plywood, which was an extension to the two-dimensional lamination earlier used by Alvar Aalto and other mid-century designers. 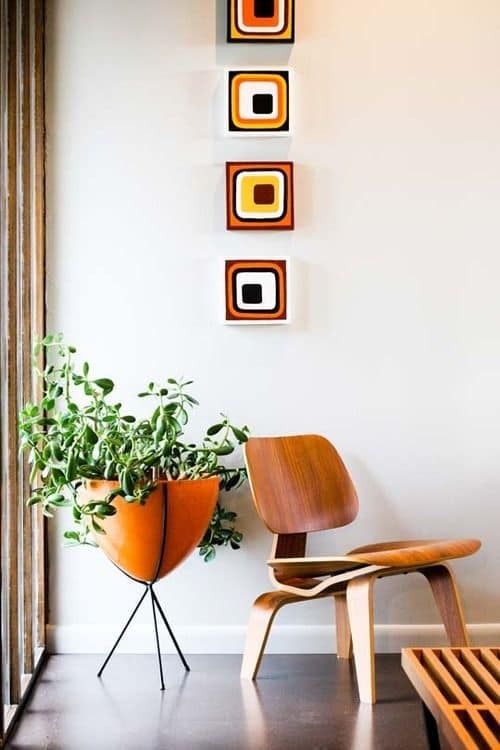 Eames and Saarinen’s Organic Chair included a plywood shell form which integrated the seat, the back and the sides into a single uninterrupted piece of molded plywood mounted on a separate leg structure. 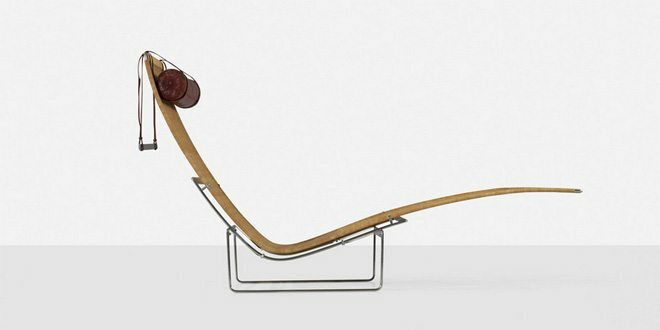 Despite its simple looking design, the chair could not be mass-produced. 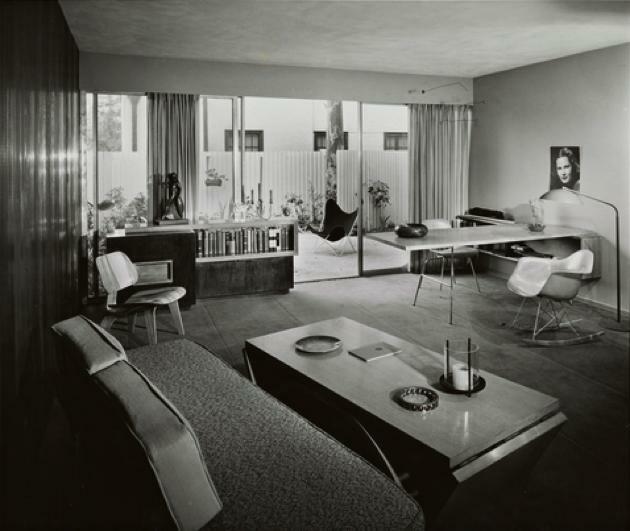 Eames, however, decided to further pursue the concept of three-dimensional molded plywood because it successfully combined economy with comfort. 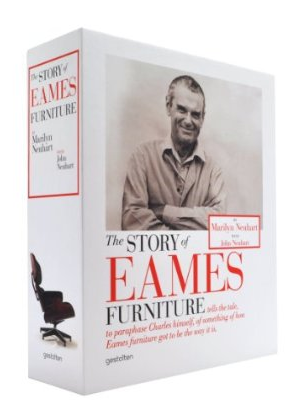 Eames’s knowledge and his experiments with molded plywood increased considerably during the next few years. He also developed the famous contour molded plywood leg splints for the US military. But, his single-shell chair designs still remained a difficult product to manufacture. In the end, the solution to the production problem came from breaking down the design into more parts which generated the LCW in 1945. The chair new design allowed a much simpler way of delivering cost-effective and comfortable seating. The back and seat were made of separate parts and held together in the correct balance with a third laminated link element. This, in turn was connected to the laminated leg elements. The connection between each component was then mediated through elastic rubber shock mounts which provided flexibility within the structure. Dividing the chair into separate elements later opened other possibilities and brought Eames to design the LCM (Laminated Chair Metal) using the same seat and back elements of the LCW but mounted onto a welded steel frame. 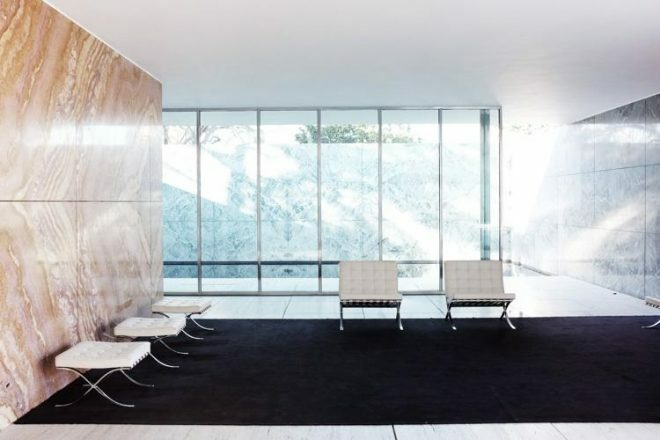 The LCW represents one of the highest points in mid-century furniture design, offering organic, ergonomic comfort but visually light and easy to be mass-produced.